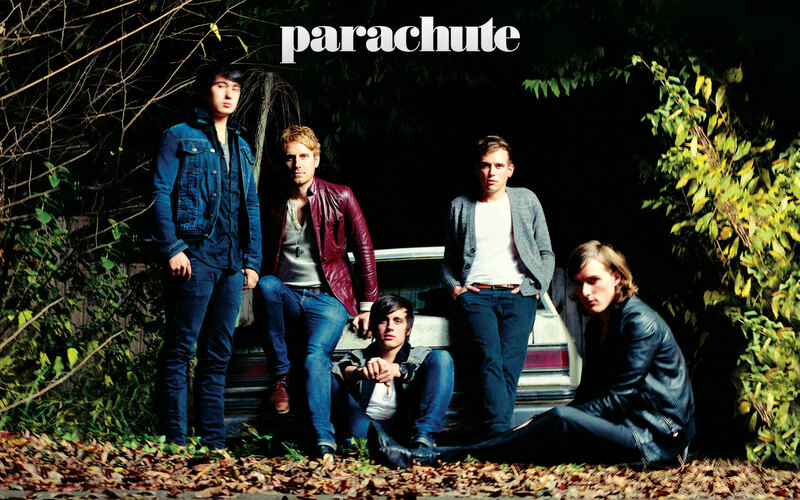 The band Parachute is slowly but surely making its way up in the music industry. Starting with competitions like Battle of the Bands and moving up to touring with artists such as Kelly Clarkson and NEEDTOBREATHE, the band has an amazing story of success, and they’re only getting bigger. Exodus got to talk with guitarist Nate McFarland and pick his brain about tours, albums, rap and a little bit in between. Exodus: Have you played at WorkPlay before? Nate: We have, love WorkPlay, love the mini-arena cage-fight feel of it with the balconies. E: How far are you on the album that “Hearts Go Crazy” [your latest single] is going to be on? N: We have tracked 14 songs so we’re all done recording, now we’re in the process of mixing and maybe teasing a few that might become bonus tracks and not make it on the regular version. E: What’s your favorite headlining tour you’ve done? N: It’s oftentimes the most recent one; whatever was the most recent one that has the biggest crowds and the best venues. So I think this past fall was the best one. As far as opening tours go it’s a tie between Kelly Clarkson and NEEDTOBREATHE. E: Did you all [the band] go to school together? N: We’re all from Virginia and everybody except for me went to middle school and high school together, that’s when they formed the band. And then Will and I went to college together and that’s where I got plugged in with the rest of the guys. There have been other guitar players before me; I’m the only unoriginal member. E: I saw somewhere that you used to be called Sparky’s Flaw. What’s the story behind that? N: The band formed their sophomore year of high school for Battle of the Bands, so it was just a joke name. They have lots of different funny little alibis that they like to tell but you can’t get a straight answer out of any of them. E: When y’all are touring it’s just every day you’re traveling, playing, traveling, playing…does that ever get tiring for you or is this just what you love doing? N: Yes and no. It’s an amazing lifestyle, it’s awesome, but it does get old at times for sure. Living out of a suitcase or washing your hair in a hotel lobby sink at 2 a.m. or something definitely gets old, but at the same time every job has its down sides and this one has some pretty bangin’ perks. E: So I heard there’s a possibility of a Monster Squad rap album…is that true? N: It is hard to tell. Truth is it’s kind of like a joke side project but we all love rap, honestly. So we’re not mocking rap, we’re laughing at ourselves and our inability to be good at rap. But we do have some songs, they’re too explicit to release so we’re not really sure what to do but we enjoy getting to pretend like we’re rappers. There are actually some songs that are bangin’ so maybe if we can clean them up a little bit…we think the likelihood of a digital mixed tape being released sometime in the future is highly likely because we just like having fun too much to keep it under wraps. E: If you wanted to say one thing to people about this new album coming out, what would be one thing you’d want them to know about it? N: These are good, well-written songs. I think that’s their biggest strength. There’s no concept to this album, no overarching themes that we’ve intentionally put in. The guiding criteria are just great songs. They maybe simpler than some of our past songs have been, because oftentimes some of the best pop songs are just simple, unforgettable melodies.